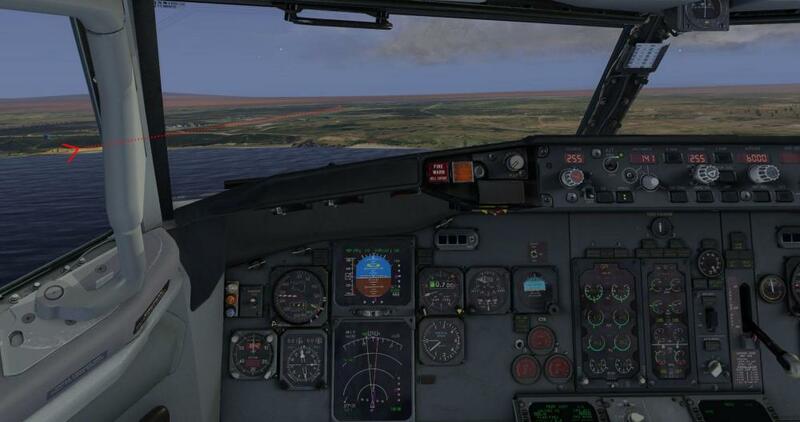 I've just spent a frustrating couple of hours typifying to set the sim up for a video on VOR/DME approaches. 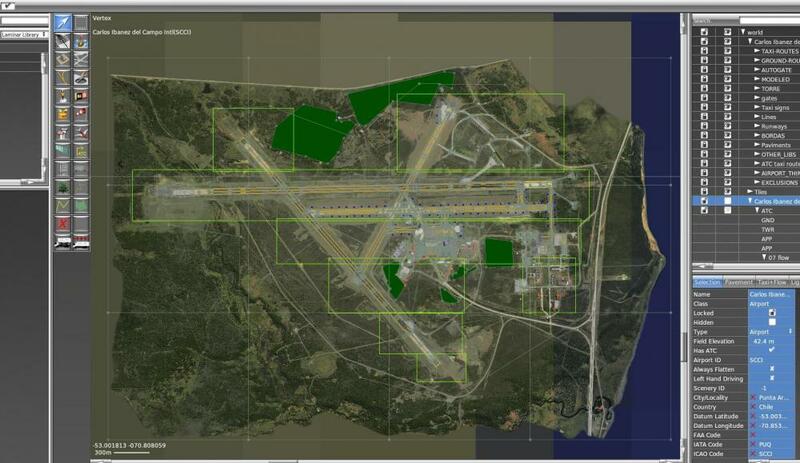 I'm looking at the VOR 03 approach at EFRO Rovaniemi. To keep it simple I'm looking at a final inbound leg of 23 degrees, nil wind. 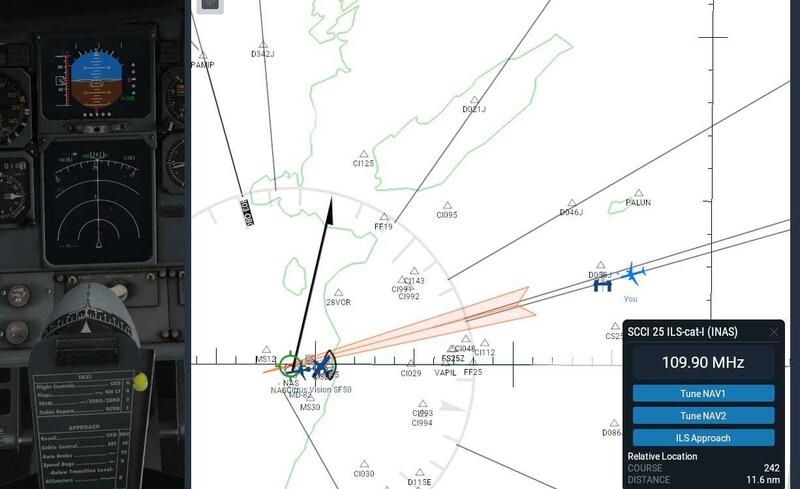 FMC overlay procedure followed in LNav the aircraft tracks correctly, and with the map navaids selected the ROI VOR is shown exactly on the heading line on the nav display. This is exactly what I expect, the aircraft is tracking directly towards the beacon on a course of 23 degrees. Perfect! Except both the VOR display and RMI show a course of approx 27 degrees to the VOR. I'm guessing this is a MagVar issue. Can somebody explain the relationship between the X-Plane database MagVar and how it interacts with the IXEG database? Can I change the X plane MagVar table? The subject is very complicated and not many people can understand and follow an explanation of this. Just in a nutshell: The variation in X-Plane is not always accurate - I made it and it is going to be accurate in 2020 and a bit inaccurate before and after that (it gets worse later, then I will have to make a new table for Austin). The radials of most VOR´s are not accurate - i.e. Radial 360 is not pointing in the direction of 360. This is because the variation changes, and they would have to physically adjust the VOR´s to keep up, and they don´t do that. So it is perfectly normal to track a VOR radial with a different magnetic track than the radials "name". I'm aware of the real life limitations for the VOR system, however for a published VOR approach the stated radials should work correctly. Basically, I followed an overlay procedure cross checking with the radio aids on the published charts, and the raw data was off by 4-5 degrees. just to add I tried resetting the VOR North value of the offending VOR to 0 and it seemed to be a much closer match. Is the VOR North value the MagVar? ROI has 10.8E published but the VOR North is around 354. Do you know what the VOR North value is designed to reflect? - the notes I found say it lists the *Magnetic* Heading of the 360 Radial, if this is the case the VOR North value would not represent MagVar but rather the "shift" in real MagVar since the VOR MagVar was last reset? I output the MagVar and other parameters on the screen. For EFRO I get 11.9 deg var East in X-Plane. Skyvector has a variation of 10.0 deg East. 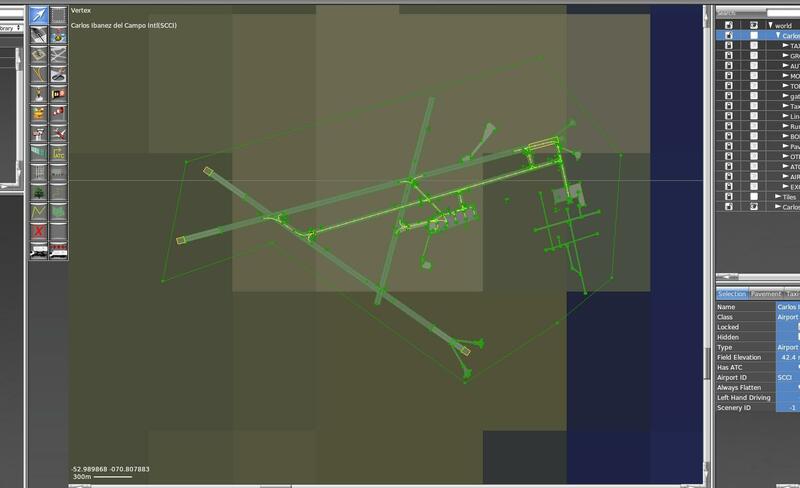 Now there might be a local distortion to the calculated field at EFRO, and X-Plane could not allow for that unless it moved to a tighter grid of var datatables, but since they are mostly "handfilled", this is not feasible. The VOR NORTH value I am not familiar with, but I would assume that this is the TRUE direction that the 360 radial is pointing at (otherwise you would have to change this value again with every shift of the magnetic field). So (just an assumption) this would be the true direction of the magnetic north (the variation) at the time the VOR was INSTALLED (not todays!). Jan, Thanks for all your input on this matter. I've been doing a bit more investigation and based on the attached composite screenshot the VOR North value is exactly the problem. I don't see any problem at all with your Mag Vars and understand they're based on a 2020 epoch. Pictured is the default 172 tracking towards ROI VOR on Radial 180, so inbound 360. Nill wind and aircraft stabilised on track for a few miles. Note the Mag Compass value shown in the data output and directional gyro is 354.2, Almost exactly what the VOR North value for ROI is. Now what this means is the VOR "calibration" for want of a better description, is based on difference from Magnetic North, not True North. To fly inbound on Radial 180 I'm using a course from 354 degrees, rather than 360 as one would on a perfectly calibrated VOR. Now, to the root of the matter perhaps. I understand you very kindly updated the X-Plane Mag Var system (as well as all those lovely gateway airports!). As the VOR's are apparently referenced to Mag North, perhaps the values for the VORs were not changed when the MagVar table was updated? It's almost like the VOR North value was being used as a fudge to make the procedures work with the previous incorrect MagVar? If the VORs were referenced to True (i.e. had a VOR MagVar stored in the database) then perhaps this would not have been an issue. If I reset VOR North to 0 then everything works exactly as expected as if the VOR was perfectly calibrated. yes, I think you are onto the core of this matter - the only question is if the "REAL WORLD" VOR is also displaying this "wrong" behaviour or not. I have seen it on many VOR´s in California, for example. 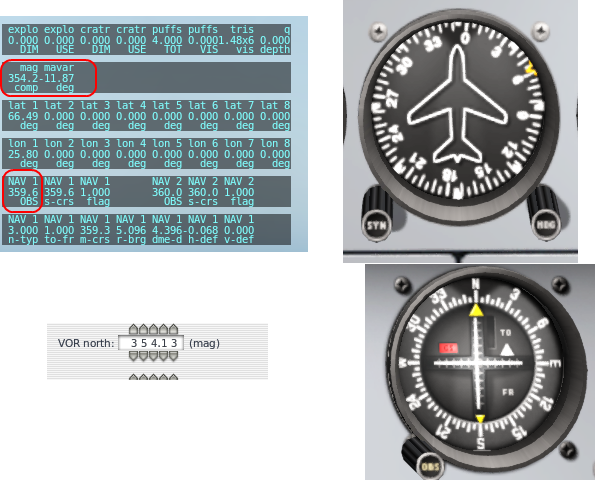 The published course between VOR´s on V-airways are not corresponding with the magnetic bearings between the VOR´s. The "0.0" before ROI seems to be the VOR NORTH value, and it looks like it is 0 in the default nav-database.... maybe it is wrong in the database you are using? As far as I'm aware I'm using default data supplied with the Steam version of X-Plane. I've got the HD Mesh v3 and also the EFRO Scenery Gateway airport. I'll have a look at the dat files. Jan, I've had a look in my earth_nav.dat file, and I have two lines for the ROVANI VOR. Line 9997 in the file, with a value of 6.0 before the ROI identifier, and another line 25306 with a value 0.0. At a guess I'd say one was the VOR, and the other the DME? I've checked my charts as well, and the inbound course is the reciprocal of the radial, so as far as the charts go the VOR should be correctly aligned with Mag North. Do you have an example of an instrument approach where the VOR is not aligned to mag north so I can have a look at how it's represented - I'm ashamed to admit I'd not considered that possibility! For Info in the "Real World" when a VOR is first installed, the VOR antenna is physically oriented to True North, this involved a TELS enginer climbing to the top of the mountain (or where ever the VOR was installed), with a set of screwdrivers and spanners/wrenches, then making a potentiometer adjustment to slave the navaid with Magnetic North. This setting is then recorded as "The Magnetic Declination of Record" or as it is sometimes called the “Station Declination” and the date this figure was set. Now over time the Local Magnetic Variation changes, and the VOR will no longer be alligned exactly with Local Magnetic North. Every so often the controling local Aviation Authority should re-align the VOR antennas to keep then within a few degrees of Local Magnetic North. But given the remote locations, and the fact that all charts & FMC databases would have to be updated as well, lots of VOR's do not get re-aligned as often as the should. The FAA and other Control Authorities continually have problems with "MagVar of Record" for VOR's and other navaids in the "real world". 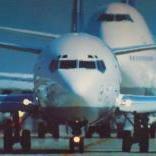 As example: Instrument Landing System (ILS) procedures at Anchorage and Fairbanks, Alaska. and The Review of Magnetic Variation Report. So it was a never ending job, trying to travel to every single VOR ground transmit antenna and "tweek the pot", given that some VOR's are in very remote or mountainous locations. The FAA has tried to keep most of it's VOR's in line, but there are many other VOR's around the world that have hardly ever been re-set more than a couple of times, so now lots of these VOR's are way out. This is one of the reasons Control Authorities are planning of switching off most ground based en-route navigation aids VOR/NDB/LM ect. and replace their function with satellite based fixes. X-Plane NavData records this "Site Declination of Record" in the earth_nav.dat file, Row 3 entry for VOR's as "Slaved variation for VOR". I'm quite interested why VOR:s are aligned to magnetic north, and not true north. What is the purpose? * Navigation between VOR:s will not be a problem, where i.e. the 180 radial of one VOR is the same as the another VOR. (There are no changes of radial when tracking from one VOR to another). * No need for service and adjustments. 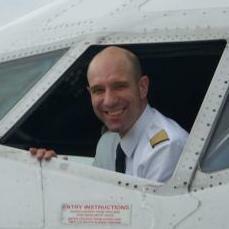 * The pilots will be more aware in magnetic variances in current areas. Hello. I can't understand a word you guys said, but my intuition suspects that this is related to why I get a completely wrong orientation when landing at SCCI - Punta Arenas, which is way down there near Tierra del Fuego. The ILS on runway 25 is completely off by quite a lot. Is this (magnetic variation) the reason? Just to illustrate (red dotted line is the rwy heading) - the plane is on the ILS, heading+-255. So this must be a scenery error. Hi, Tony. Well, I did the scenery and, without going too deep into it, when you import the apt.dat in WED, it comes in like PIC1. Then I rotated the whole thing (PIC2) to match the map (imported from SA S-Planet, which is more or less like PIC3 - with runway 25, that should be 255 actually heading 269). In any case there is a discrepancy between maps (Google, Yandex etc) and X-Plane and I wonder if that's because of the magnetic variation since SCCI is way down there. If I rotate the scenery to match the apt.dat, everything else goes out of whack - terrain, roads etc. In my opinion it's an error in X-Plane. Don't know anything about scenery making. I'll take out my scenery and have a look. I'll probably have to rotate the whole scenery. Still...the discrepancy between XP and real world remains. Still...the discrepancy between XP and real world remains.